I wonder what we're seeing today? My feelings about this ? Nothing at all. You didn't feel that way a month or two ago. What changed? 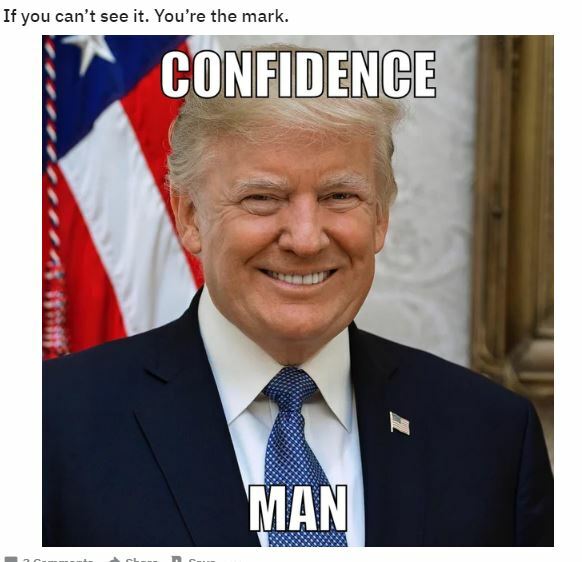 But you would think Trump just cured cancer or perhaps that we found out he really is the antichrist from the way the Trump Cucks are celebrating on Patrick.net. The investigation is over, but we don't know what's in the report or what other investigations it will lead to. Mueller's investigation was narrowly defined. 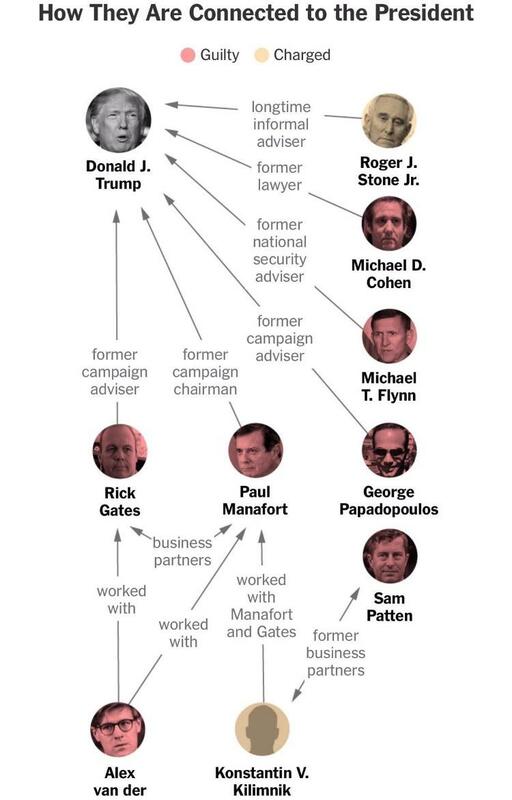 You're guaranteed to see other invetigations triggered by Mueller's report. ...."Deputy Attorney General Rod Rosenstein, serving as Acting Attorney General due to the recusal of Attorney General Jeff Sessions, authorized Mueller to investigate and prosecute "any links and/or coordination between the Russian government and individuals associated with the campaign of President Donald Trump," as well as "any matters that arose or may arise directly from the investigation" and any other matters within the scope of 28 CFR 600.4 – Jurisdiction." @Booger - I would love to respond to each line item however I am not up for an all nighter. Translation: I got no TDS to dispute any of it. I guess we will see who the honest ones are on this site. True. How many people got killed because of the fake Russian collusion by Trump. We know there were a least 4 American's killed because of Hillary, plus scores of non Americans. What are their dead bodies worth to you? Why, he makes it so easy and sets himself up for it? 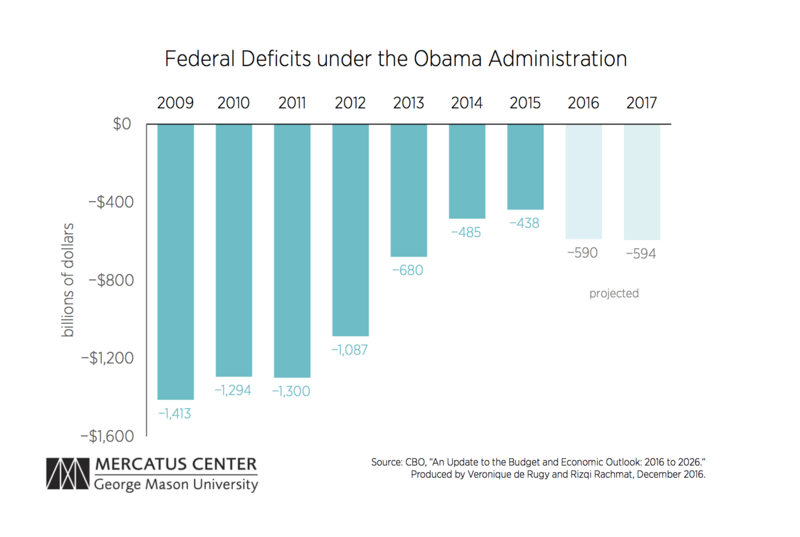 We can thank Obama tacking on $10 Trillion to debt for that, right? Someone is having a tough time sleeping at night, if they are up at 4:19 AM posting on Patnet. They must be totally worried about the Mueller report, that will show how deep the TDS runs. ....To the ones who have clear mind. Hillary hasn't been indicted YET for all of her alleged crimes against the country. There, I had to fix that for you. Maybe Trump will go after her and all her buddies once this Mueller farce is completed this week. SOmehow when it comes to TRump, not having enough proof to indict a sitting President is now proof of innocence ? Why ? What about all his family members? How many of them were indicted for Russian collusion? They're not the president. Somehow, this just has to be Trump's fault, right? CNN legal analyst Jeffrey Toobin declared Sunday that Department of Justice special counsel Robert Mueller’s report on Russian interference in the 2016 election gave President Trump “total vindication” on the issue of collusion. And right after that statement, the other 8 TDS sufferers on the CNN panel stoned him to death. 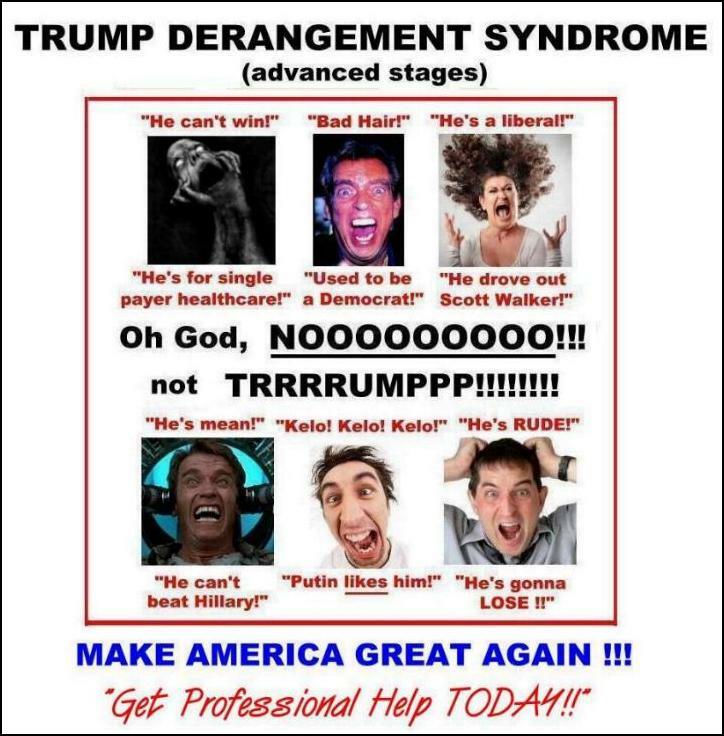 There it is folks... TDS in all it's glory, and it's getting MUCH worse!! I have to remind you. I'm pretty sure still think Hillary is guilty even with no indictments. Statement by FBI Director James B. Comey on the Investigation of Secretary Hillary Clinton’s Use of a Personal E-Mail System. ....."From the group of 30,000 e-mails returned to the State Department, 110 e-mails in 52 e-mail chains have been determined by the owning agency to contain classified information at the time they were sent or received. Eight of those chains contained information that was Top Secret at the time they were sent; 36 chains contained Secret information at the time; and eight contained Confidential information, which is the lowest level of classification. With respect to the thousands of e-mails we found that were not among those produced to State, agencies have concluded that three of those were classified at the time they were sent or received, one at the Secret level and two at the Confidential level." When is the investigation of Hillary going to begin? Girls don't waste their time with shitholes. Is that why you're alone? The NY Times stated "Here is what can be said with certainty: Had Mr. Trump done nothing but invest the money his father gave him in an index fund that tracks the Standard & Poor’s 500, he would be worth $1.96 billion today." One small detail the NYT omits, Trump produced jobs for over 22,000 people around the world, plus think of all the companies that provide products and services to all of Trump's businesses. How much have all those employees invested in the market and what's their net worth? When you add all that value together, he blows the S&P away in total value. Fake news again at the NYT. Mueller's exact words in the report, as quoted by the attorney general, say otherwise: "WHILE THIS REPORT DOES NOT CONCLUDE THAT THE PRESIDENT COMMITTED A CRIME, IT ALSO DOES NOT EXONERATE HIM." ...."After reviewing the Special Counsel's final report on these issues; consulting with Department officials, including the Office of Legal Counsel; and applying the principles of federal prosecution that guide our charging decisions, Deputy Attorney General Rod Rosenstein and I have concluded that the evidence developed during the Special Counsel's investigation is not sufficient to establish that the President committed an obstruction-of-justice offense. " Ahhh, that pesky little fact, EVIDENCE. Apparently not to the Democrats, they're always void of FACTS and Evidence. Their owners are largely complete shitheads so I'm not entirely how much of it is the dogs fault and how much is the owners. 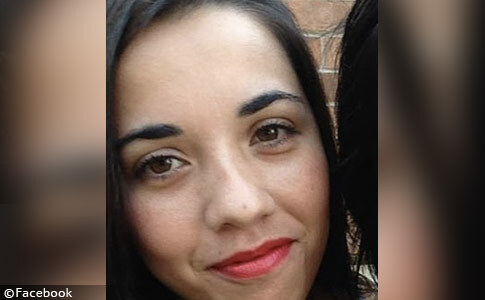 Irving police say 33-year-old Johanna Villafane of Irving was pronounced dead Saturday at a Dallas hospital. Just wondering: how many anti-Pittbulls people happen to be pro-guns? Just about every one I know. In fact, I only know one pro-gun guy that has a Pit. Most have bird dogs, German Shepherds or Labs. Trump is not exonerated, because he was never charged with a crime. He has to be guilty FIRST, to be exonerated later. Muller never charged him with anything. You're welcome for the English lesson! Why are Liberals so gullible to listen to Anderson Cooper and Rachel Maddow? If you got a good masseuse you can get the same thing. This is the correct answer. The key is finding a therapist that specializes in Medical Massage, not spa type massages. Many Chiros work together with these type of therapists. I've had back/neck issues for decades. I go to a therapist once a week to keep me moving. She does a combo treatment (kinda like physical therapy, chiro and massage) all together. It took her a while to figure out what was going on, but once she figured out all the trigger areas for pain, I get amazing results. I've been seeing her for over 9 years. I take no pain medication. If it wasn't for her working on me weekly, I'd either be gorked out on pain medication or in a wheelchair. Instead, I can mountain bike, play all types of sports, and even beat the wife.... oops..
And combining chiropractic with massage therapy is way more effective, since tight muscles will pull stuff back out of alignment. This is where the base of the problems come from. Muscles hold the bones in place. If nerves get inflamed, they trigger the muscles to contract in "protection" of the area, which results in puling the skeletal system out of alignment. A good massage therapist will get those muscles to relax and reduce the inflammation, which puts less tension on the skeletal system, relieving the pain. It's a process that takes weeks and weeks, and can't be completed in only a few visits. There are multiple layers of muscles the therapist has to work down through, so you need to make a committment to go back for a bunch of treatments. I’ve had two great ones and one terrible one. and that's the toughest part, actually finding the good ones. That's the biggest challenge. I sifted through a bunch of therapists until I found the current one who was interested in finding the source of the issues, and wasn't just looking to make a quick buck slapping on some oil. whose removing the comments and why? In an effort to even the playing field Patrick decided to make me a moderator. I do what ever I damn well please. Go cry to Patrick. Is this even close to being true, or just a April Fools Day joke? Feel like I've touched a nerve here though with a few people. Sorry. Not intended. You don't have to like it, you can try to fight it, but cash is mostly dead outside of gambling, drugs and tax evaders. ...."Cash remains the most frequent method of payment in the U.S., representing roughly 31 percent of consumer transactions, more than electronic, credit, debit or checks. Even with internet sales led by Amazon growing quickly, e-commerce represents less than 10 percent of all retail transactions." I don't know, guess I'm beating a dead horse here. Not saying opinions here are wrong, but where I live, carrying cash is really impractical and the people up in arms over a bank branch closing are frankly minimally retarded at some level. Haven't pulled cash out of anything over the last decade besides maybe 2 times at a casino. To each their own I suppose. Cash continues to be the most frequently used payment instrument, representing 30 percent of all transactions and 55 percent of transactions under $10. While online shopping continues to grow, 77 percent of payments were made in-person.1 For these in-person payments, cash accounted for 39 percent of the volume. Survey respondents between 18 to 25 years of age and those 45 years and older use cash approximately 34 percent of the time to pay for transactions. Consumers continue to use cash predominantly for smaller value transactions, with cash being used for 55 percent of payments under $10 and for 32 percent of payments between $10 and $24.99. Because the majority of reported transactions were below $25 in value, cash was the most used instrument overall. Participants reported making approximately three quarters of all payments in-person and, for those payments, cash was used approximately 39 percent of the time. Finally, the average daily value of cash held by consumers continued to increase in 2017 at $59 per person compared to $57 in 2016 and $51 in 2015, although these findings were not statistically significant.